On November 2, 2018, UAT4 held their session on burdens and liberation entitled “The Things We Carry,” in which both fellows and mentors were asked to share their burdens that they were ready to release. The environment was open and honest, and allowed everyone to be transparent and vulnerable. I would have never thought that Friday night’s session would have such a grand impact on me and how I view the other people in this amazing group. However, I was disappointed in myself for not sharing. I was confused as to how others had the strength to share these unimaginable burdens. The more I reflected on the night and the conversations that came as a result of sharing the things we carry, the more I realized how truly meaningful that session was. The environment created by Fabi’s lovely house, Stefano and Julian’s brilliant leadership, and the comfort of the strong people around me, was one that served as a safe space for people to share the things they hold closest to them. House of Riordan posing for the camera at the session! I’ve since then forgiven myself for not sharing. I’m proud of myself for having the courage to write my burdens down and coming to terms with the fact that they are my burdens; I have to deal with them everyday, and acknowledging that they exist is a big step in being able to lessen the weight I carry. By changing my thought process on this, I’ve realized that a small victory, such as simply coming to terms with the things I carry, is not only largely personal, but is also something that is very much worth celebrating. My small victory is something I’m now more confident in celebrating, thanks to the conversation led by our amazing cohort. Johannie introduced an idea that really stood out to me: that one’s own perception of their personal growth is often neglected, and we tend to focus more on how others see us. I’m so thankful that this discussion was brought up, as it’s something I believe many, including myself, had not realized was such an integral part of personal growth. Personal growth is exactly what it’s name says: personal; we should not allow others’ perception of us as individuals determine how much we have grown. Our small victories, the ones many don’t see, are crucial to our personal growth and are worth big celebrations. 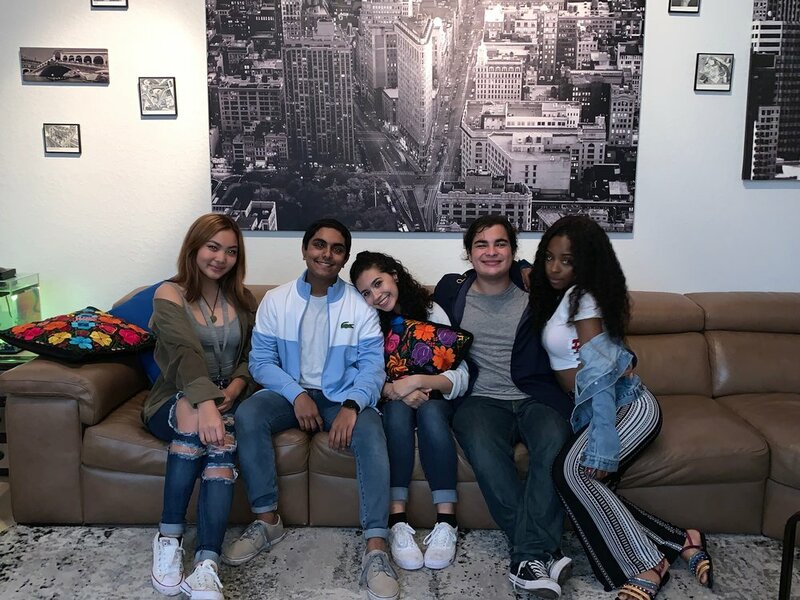 Eli Blanco-Jimenez is a junior at Somerset Academy High School who actively encourages peace amongst different groups regardless of race, religion, sexuality, gender, or any aspect of identity. She is passionate about discussing difficult issues and social problems facing herself and those around her. She also enjoys photography, playing music, and spending time with the people she cares about.